The future of work is changing, and it is changing very fast. The way we work is evolving to meet the new demands of a marketplace driven by advancing technology.The new world that awaits us around the corner will need new skills to negotiate it. At Dezinecareers, our vision is to create a generation of Future-Ready professionals. 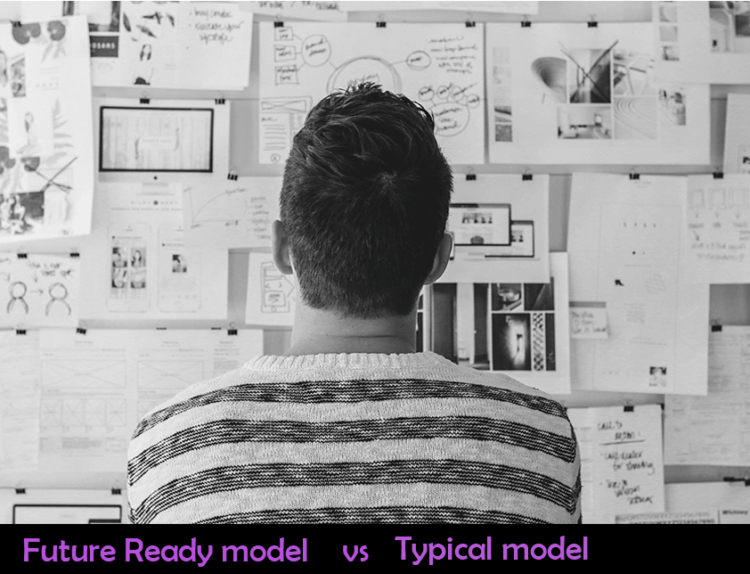 The answer is through a Future Ready model comprising of new age learning tools that will help create a ‘Future Ready’ workforce. Applicable for producing results anytime and in any unknown ,new situation. Uses a solution-based approach like tips and techniques,solving issues for one time. Delivers customized solutions in a toolkit format acknowledging future situation. Delivers generic training output accounting only current situation. Our specifically designed workshop module serves as a foundation to test out various prototypes for crafting future career paths and make informed decision. We believe in “Digital India” and support our national mission through the creation of convenient, flexible and accessible skill development modules for tech-challenged groups. The system will enable anybody from any part of the globe to learn and earn together.